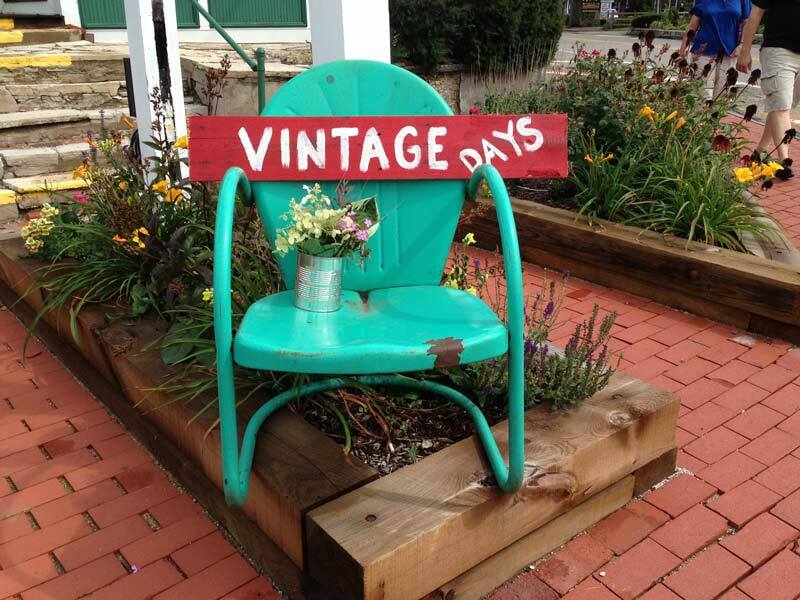 Our inaugural Vintage Days celebration is being held this weekend in downtown Long Grove. A perfect Sunday afternoon can be had today in Long Grove, because Vintage Days are in full swing! Our Village already offers several vintage and vintage-inspired stores year-round: Scout & Forge, 2 Fancie Gals, Olivia’s, Epilogue, the list goes on…But this weekend we are joined by over 25 vendors, live music, entertainment, children’s activities, free haywagon rides, and more! The fun is kicking off now and goes until 6 pm tonight, with an Arts & Music Council sponsored concert at 4 pm on Towner Green by bluegrass band Special Consensus. 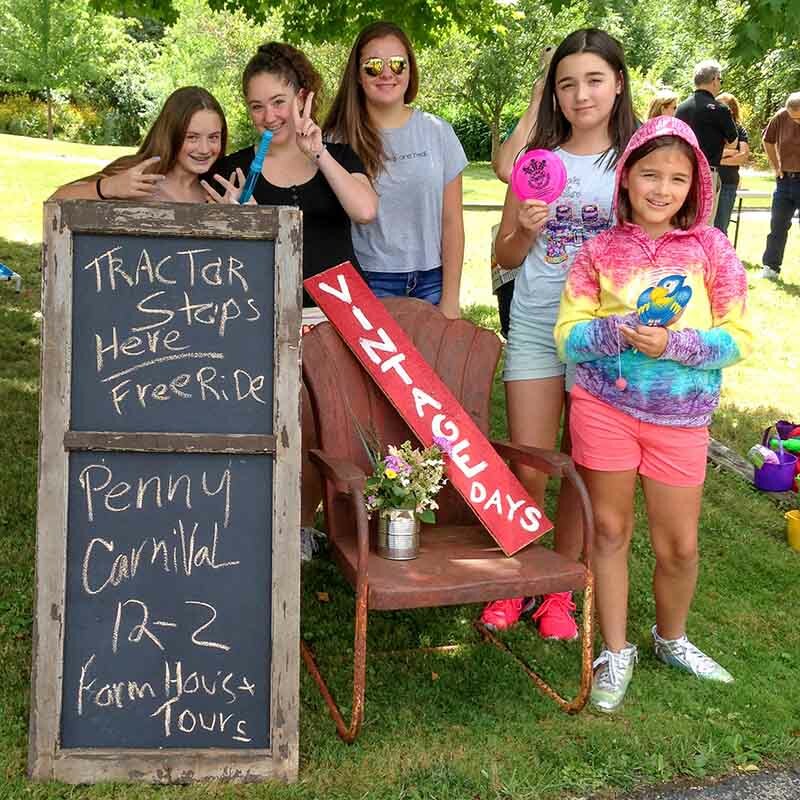 The Historical Society is sponsoring a kid friendly penny carnival on the grounds of their 1860’s restored farmhouse, located in the back of Stempel parking lot. No admission for any of these outdoor activities, so stop by for some old-fashioned, free family fun! 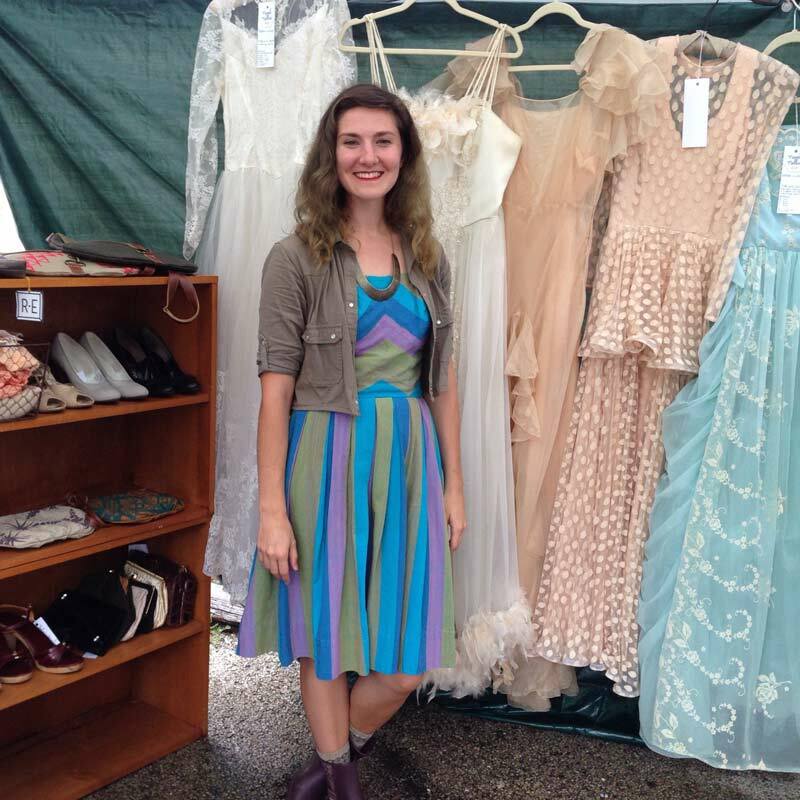 Erin Conley, owner of Novel Nellie, which features vintage and handmade clothing. I purchased one of Erin’s skirts and am wearing it to the festivities today. 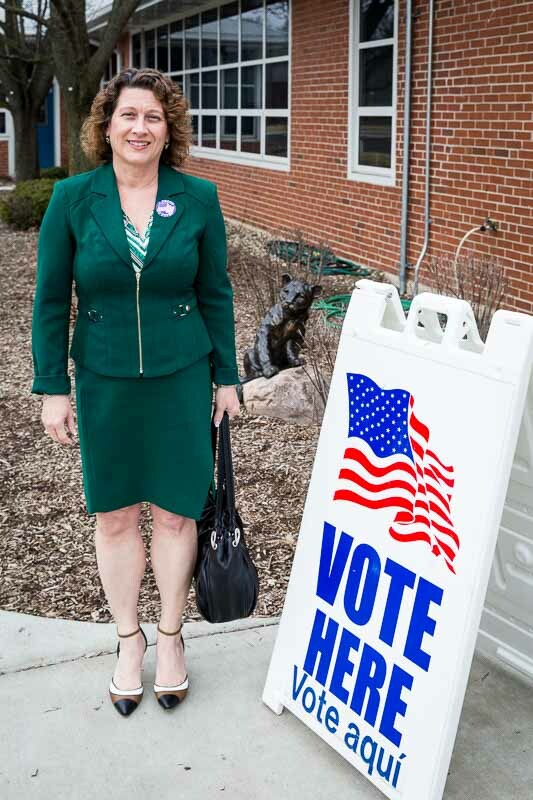 One more great thing about Erin–she grew up right here in Long Grove! 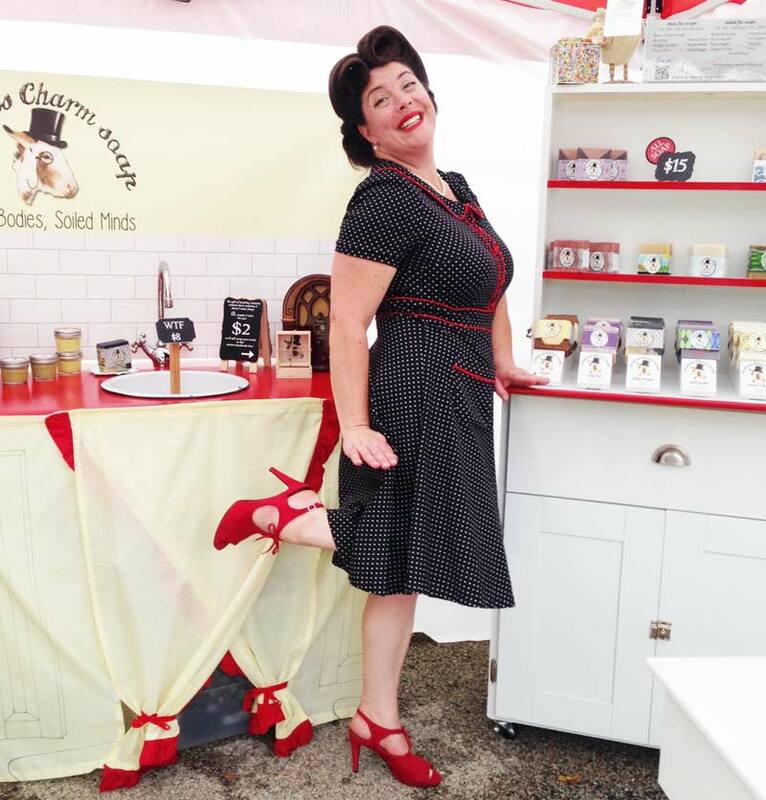 Ruthie Sudsalot is a delight, and her “Jackass Charm” soaps smell fantastic and are a hoot! With the tag line, “Clean Bodies, Soiled Minds,” they are a perfect gift for that special someone. Vintage Days is such a great fit for Long Grove, and the merchants, residents, and visitors I talked to yesterday really seemed to agree. It was heartwarming to experience so many elements of our town coming together and embracing a community spirited event, harkening back to simpler times. I hope this is the start of a new tradition! Enjoying an Arts & Music Council concert on Towner Green with one of the founders and guiding forces of the group, Tobin Fraley. A tradition that I love in Long Grove is our free concerts on summer Sunday afternoons, planned and supported by the Arts & Music Council. The six-concert series is halfway through the 2016 season, but there are still three more opportunities to bask in the summer warmth on Towner Green while enjoying incredible music. This Sunday, August 7th features gypsy-jazz music by Alfonso Ponticelli & Swing Gitan, followed by bluegrass band Special Consensus on August 21st and wrapping up the season with Sons of the Never Wrong on August 28th. Bring your family and friends, lawn chair or blanket, and favorite beverage or even dinner to savor along with the beautiful music. The concerts start at 4:00 and did I mention that they are free? 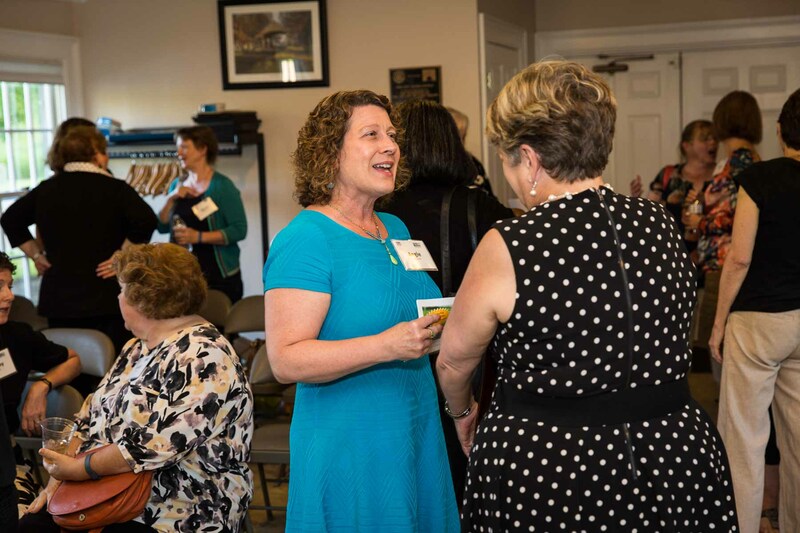 For the past 11 years our volunteer Long Grove Arts & Music Council members have worked hard to provide this high-quality entertainment for our community, and I for one am grateful. I have so many pleasant memories of concerts in the park over the years and this coming weekend will be one more to remember. To read more about this group and the history of the concerts see my blog post Summer Concert Series Kickoff. 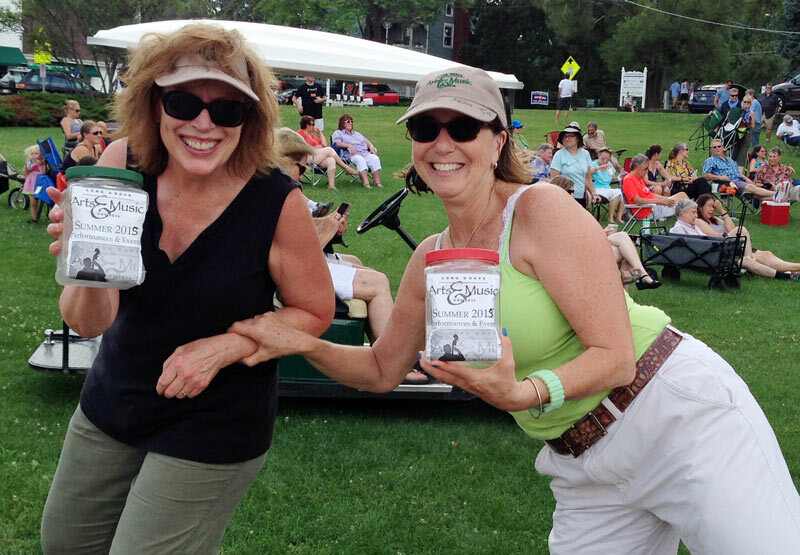 Arts and Music Council board members Georgia Cawley (left) and Rachel Perkal accept donations at a recent concert.